A partnership to scale up water supply, sanitation and hygiene in the Mekong region. The objectives of this alliance are to accelerate, facilitate and evaluate the success of market-based enterprises and programs for scaled-up water supply, sanitation and hygiene (WSH) products and services targeting lower-income market segments in the three Mekong Region countries: Cambodia, Vietnam and Lao PDR. The partners made in-kind contributions to the tune of $565,000. East Meets West creates sustainable and catalytic solutions to difficult development problems. Our mission statement is to transform the health, education and communities of disadvantaged people in Asia by building partnerships, developing opportunities and creating sustainable solutions. East Meets West was born from one woman's dream of helping to heal the wounds of war between the United States and Vietnam. In 1988, LeLy Hayslip, whose life story was chronicled in two books she wrote and in Oliver Stone's film, Heaven and Earth, returned to her village of Ky La in central Vietnam and started East Meets West. From the cornerstones of LeLy's early projects - Mothers Love Pediatric Clinic and Peace Village Medical Center - East Meets West has grown to be a highly respected organization implementing large-scale projects. Although LeLy is no longer with East Meets West, the people of Vietnam will always be grateful for her vision and gifts. Our core programs are in the areas of learning, healing and health. Our programs reflect our commitment to removing the barriers that prevent people from enjoying life's fullest opportunities. Our primary mission is to serve the poor and the disadvantaged in Asia. Support for our work comes from agencies such as the World Bank, USAID and Irish Aid; private foundations such as Atlantic Philanthropies, the Ford Foundation and the Lemelson Foundation; corporations such as Masimo, Boeing and Coca-Cola; and thousands of individuals. Since 1988, East Meets West has served millions of people in Asia, from providing rural villagers with clean water, to saving newborns by modernizing neonatal wards, to constructing large medical and educational facilities that serve tens of thousands of people every day. East Meets West has invested over $105 million in Asia. 55,000 babies a year are saved or treated with EMW's neonatal technology and training. provides a hospital with a phototherapy machine, a three-year warranty and training. 370,000 people have access to clean water through and EMW-supported village water system. provides a connection to clean, piped water for the poorest of the poor. 103,000 children have been given free, modern dental care. provides a child free modern dental care for one year. 3,000 children have been given lifesaving heart surgery. provides a critically ill child with lifesaving heart surgery. 11,000 children from the poorest families have a comprehensive SPELL scholarship to prevent school drop-out. provides one impoverished child with a year’s scholarship for secondary school. 1,100 disabled children have received physical therapy, corrective surgery and educational scholarships. provides one disabled person with corrective surgery and a prosthetic device. The center houses 134 children, including orphaned and hearing- and speech-impaired. provides care for a year for one child living at the Village of Hope. 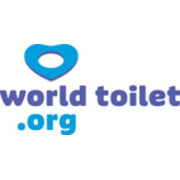 Founded in 2001, World Toilet Organization (WTO) is a global non- profit organization committed to Improving sanitation conditions for people globally through powerful advocacy, inventive technology, education and building marketplace opportunities locally. Their mission is improving sanitation conditions for people globally through powerful advocacy, inventive technology, education and building marketplace opportunities locally. Starting with 15 members our membership has consistently grown and to date we have over 235 organisations operating in 58 countries. In 2001 WTO declared 19th November World Toilet Day. Today it is celebrated in over 19 countries with over 51 events being hosted by various water and sanitation advocates. In 2001, WTO established the World Toilet Summit (WTS). WTS provides a platform for those in the sanitation sector to connect, share, learn and collaborate on market based solutions, design and distribution models that make sanitation solutions affordable and desirable to the poor. In 2005, WTO established World Toilet College (WTC). The first and only toilet college, WTC is an independent body that ensures best practices and standards in toilet design, cleanliness and sanitation technologies are adopted through training and education. Our Sanishop (Cambodia) is a sanitation market based concept that offers free training and support. Our distribution model makes sanitation affordable to all as well as providing business opportunities for local entrepreneurs, and local suppliers. Since starting in 2010 there have been approx. 2500 toilets sold and delivered. In 2006, WTO embarked on a two year project in Indonesia. We provided sanitation education and constructed 13 ecologically safe community toilet facilities in tsunami affected regions, Banda Aceh and Meulaboh. In 2006, Lein Aid funded the “Happy Eco-School in Tianzhen County, Shanxi Province of China. The project focus was to improve school sanitation by constructing and upgrading existing toilet facilities, improving school hygiene, creating an efficient heating system and forming a school sanitation committee. EnterpriseWorks/VITA (EWV) reduces poverty and raises living standards in developing countries by identifying opportunities for economic growth among small-scale businesses — increasing employment and incomes along the entire value chain. EWV has developed a proven, sustainable approach for promoting appropriate technologies, building markets, expanding trade, and broadening access to financing, with an emphasis on irrigated horticulture, tree crops, agro-processing, household energy, natural products, and potable water. iDE is an international nonprofit organization unleashing the power of innovation and market forces for poor rural households in the developing world, helping them access tools and knowledge to increase their income. iDE currently operates programs in Nepal, Bangladesh, Cambodia, Vietnam, Zambia, Ethiopia, Ghana, Burkina Faso, Mozambique, Nicaragua and Honduras. The organization employs 595 staff and had a budget of $20 million in 2011. With funding from more than 160 donors, iDE has implemented over 250 projects worldwide. iDE is a global effort that spans offices in 14 countries, encompassing 4 social enterprises, employing nearly 1,000 people directly, and indirectly enabling many more through the market-based approaches in agriculture; water, sanitation, and hygiene; and finance. 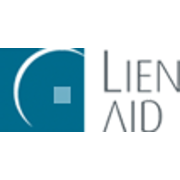 Lien Aid is a Singapore based non-governmental organisation that seeks to build a firm foundation for human development by making safe water and sanitation accessible and affordable to poor communities in Asia. Lien Aid was set up in 2006 through the Lien Foundation - Nanyang Technological University Environmental Endeavour to address the water and sanitation crisis in developing countries around Asia. Lien Aid’s strength lies in delivering solutions using appropriate technology backed by knowledge transfer. Since its inception, Lien Aid has impacted thousands of lives through various water treatment, sanitation and community development initiatives. In less than four years, we have impacted over 200,000 lives in Cambodia, China, Vietnam, Indonesia, Myanmar and Thailand through various water treatment, sanitation and community development initiatives. Lien Aid works closely with strong partners from varied sectors – private corporations, governments, NGOs who share our vision. By synergizing the strengths of our partners, we are able to implement projects quickly and effectively, thereby maximising the impact of our work. Through a good balance with public and private partnerships, Lien Aid is actively at the forefront of many watsan projects, and this support enables us to continue to effectively assess local needs and bring targeted solutions. As our emphasis is to build the capacity of the local community and to empower them to transform their own environment, all our projects have a strong element of community involvement. With the local community empowered with key skills, they are equipped to sustain these projects in the long run. Lien Aid is currently concentrating its efforts on Asia’s impoverished communities where the water and sanitation crisis is most acute. We have on-going programmes in 3 countries where Lien Aid has a country office: Cambodia, Vietnam and China. In the past, we also completed a few projects in Indonesia, Thailand and Myanmar. As the issues we deal with are dynamic, we are constantly assessing the needs of the people and exploring ways in which simple technologies can be implemented efficiently and cost-effectively in those communities.